Carla Hall's Comfort Foods Book Exclusive Giveaway! 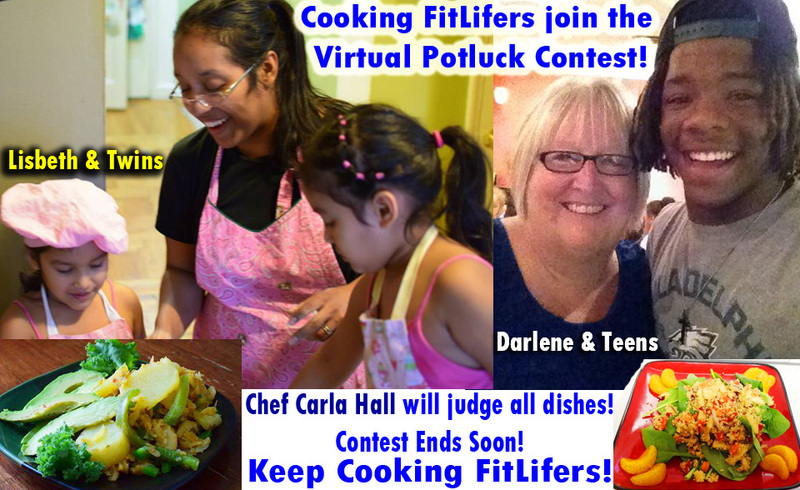 International Virtual Potluck Contest is Done Like DINNER! Carla Hall has done it again but, this time she is taking us around the world with her favorite international dishes! Here’s your chance to win her newest “Comfort Foods” book release with your name on it autographed by Carla herself! Read the contest details below for your chance to win your personalized copy! 1. Cook an International Dish and capture a picture of it! All the dishes were reviewed by Carla Hall & it was a close call between Lisbeth & Darlene’s Dishes! FitLifers Dish It & WIN! Carla Hall reviewed all the dishes! Darlene & the Teens Won! More details on Carla’s Comfort Foods book officially released on April, 1st! Catch Carla Hall on the QVC network on Monday, March 31st! Full of Carla’s entertaining stories, the book shows how seasoning can transform any simple recipe. A comprehensive spice and flavor guide lets you chart your own course in the kitchen by turning your favorite go-to dish into a culinary trip around the world. In recipes that reflect her own vivacious personality, Carla takes you from Southern Chicken with Milk Gravy to West African Spicy- Sweet Chicken Stew; from German Double-Mustard Potato Salad to Moroccan Spice-Rubbed Beef Roast to Indian Chile, Pea, and Coconut Chutney; and from Southern Peach Cobbler to Greek Baklava. We all need an aromatic bowl of chicken soup from time to time; with Carla’s Comfort Foods, you can perk it up Italian-style with fresh basil and oregano; or have a taste of India with cilantro, curry, cumin, and turmeric; for a Caribbean treat, make it fragrant with lime, thyme, and cayenne pepper. From Nashville to Naples to Nigeria, nothing gathers friends and family around the table like the flavors of home. Now you can hug your friends and family with Carla’s incredibly flavorful takes on creamy soups and noodles, fragrant stews and dumplings, and mouthwatering pastries, pies, and tarts. Join Carla for a delicious journey! 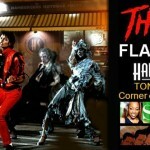 Thriller Flash Mob! Harlem Shake!